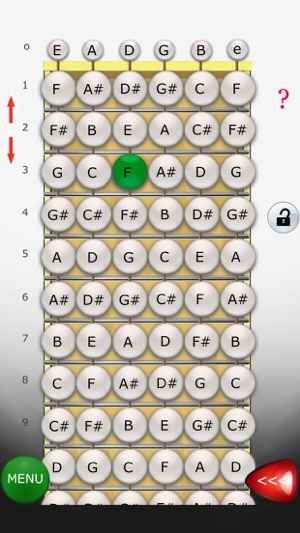 CHORD-SCALES in all keys - create progressions. 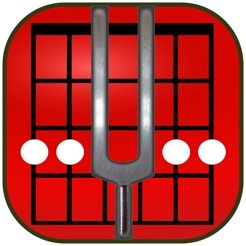 Gently stroke the scales and chords and make some music ! 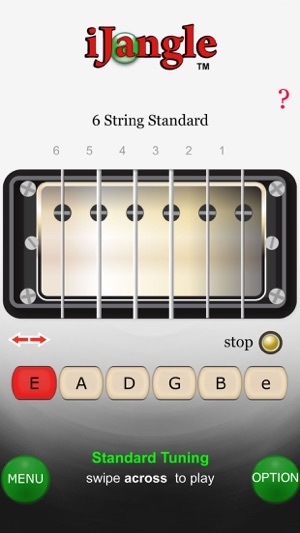 11 Open tunings - Rolling Stones, Dylan, Celtic, Hendrix / Zeppelin, Nick Drake and Stanley Jordan styles .. Open D, Open G, Low C, DADGAD, BEBEBE, Eb/D# , CGDFGD, CGDFCE, GGDGBD, All Fourths,Open C6 (Zepp) & Open D6 - pitch reference tuner. 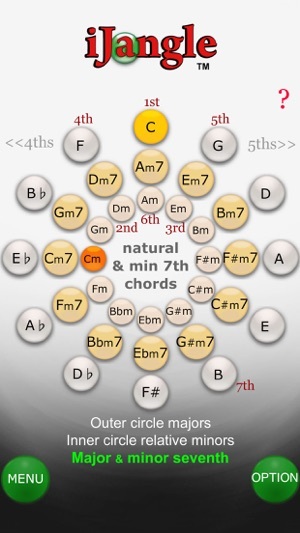 EASY TO USE - match the tones to your guitar strings as with a pitch pipe. 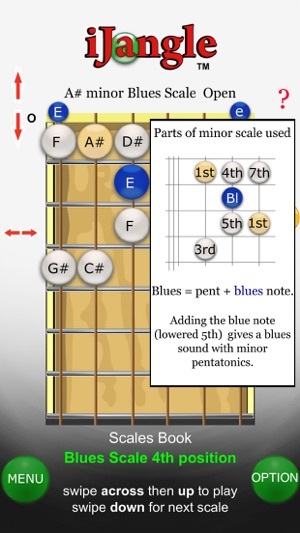 PENTATONICS & BLUES SCALES (in 5 positions), major, minor scale, harmonic minor and MODES. 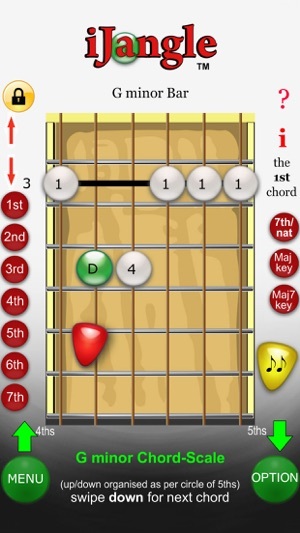 Play back and forth through the scale of any key using its main chords including 7ths, major, minor keys, naturals and sevenths. Total suckage, a real dog of an app. Apparently created by the little white dog. Audio does not work at all, unless it is only heard by dogs. I want a refund.